Creative Carpentry Concepts, LLC. 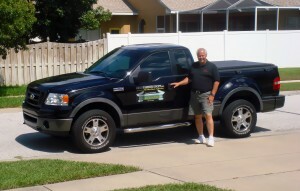 - Custom Carpentry - Pinellas, Hillsborough, and Pasco County Custom Carpentry, Crown Molding, and Trim Installation. Welcome to Creative Carpentry Concepts, LLC. 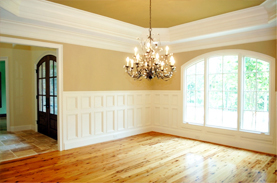 Tampa Bay's premier fully licensed and insured interior finish carpentry contractor, CCC provides high quality carpentry services for commercial and residential clients in Pinellas, Hillsborough, and Pasco Counties. 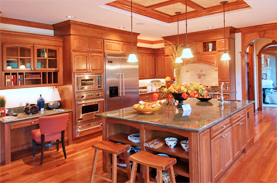 From kitchen and bath remodeling to trim carpentry, from custom entertainment centers to custom cabinetry, whatever the complexity, our team of highly qualified expert carpenters are dedicated to working with you to implement a concept that is sure to meet all of your needs. 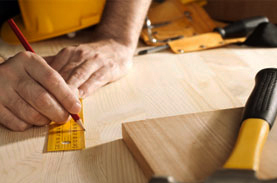 Creative Carpentry Concepts specializes in renovations, home improvement, and custom interior finish carpentry. Our services range from the installation of customized trim work - covering everything from base to case to crown molding, wainscoting, chair railing, and flex molding, to the design and construction of custom closets, coffered ceilings, and built-in wall units. Our renovation and home improvement services range from kitchen and bath remodeling to new residential and commercial construction. Whether you want to create a more modern unique look or would like to add an extra special touch of elegance, Creative Carpentry Concepts has a solution for you and your home. At Creative Carpentry Concepts, LLC. 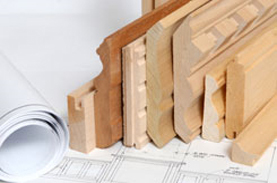 we consistently take pride in striving for perfection in every job we are awarded, which has made us an industry leader as well as a trusted name in finish carpentry in the Tampa Bay area. The outstanding reputation established over the years is a direct reflection of the leadership of owner Tom Lecaroz, a 3rd generation Master Carpenter as well as a degreed Architectural Engineer. Creative Carpentry Concepts offers clients free in-home design consultation, superior craftsmanship, and excellent customer service. To schedule an appointment please call Creative Carpentry Concepts at 727-776-9878 or complete our online contact form. Just another high five for the quality work of Tim & Neal in doing the Crown molding in our home. As a customer, I want to give an outstanding rating to you and the quality finish carpenters on your team. World class in every way. Our fireplace is officially complete and we couldn’t be happier. Neal did a great job and we are very happy with it. Thanks again! Professional and attention to detail. Tom the owner and his crew were very professional, offered suggestions and always gave attention to detail. I've also referred Tom to my real estate clients with confidence. Creative Carpentry Concepts installed crown moulding in our guest bath, guest bedroom and master bath. The pricing was reasonable, they showed up on time, finished ahead of schedule and were courteous and professional. The work performed was outstanding and it looks amazing. We highly recommend Creative Carpentry Concepts. I recommend Creative Carpentry Concepts to everyone, Tom is a Master Carpenter with many years of experience. Creative Carpentry Concepts is one of the best in the industry. I hired Creative Carpentry Concepts to build a custom entertainment center for my home and they by far exceeded my expectations. I was very impressed with the crown molding that was installed by your company. Fine detail as well as pleasant people to work with. Creative Carpentry Concepts did a superb job on my home, I would definitely hire them again. The projects Creative Carpentry Concepts completed for us were done in a professional and expedient manner. The coffered ceiling, entertainment center, crown molding, chair rail and wainscoting are spectacular. We couldn't be more pleased. Tom Lecaroz and his crew did an excellent job installing crown molding throughout my home, my wife and I were extremely pleased and would definitely recommend Creative Carpentry Concepts. Thank you for creating such a beautiful door for us. I know the style was very different and unique, but you did it. Very professional staff, will recommend you without hesitation. Just wanted to let you know we are very pleased with the way the Bookcase turned out. Creative Carpentry Concepts did a great job--it not only looks good it's also very functional. Thank You and your Team for the great Bookcase Units that you built for my Home Office. Creative Carpentry Concepts - Professional, Courteous, and always does the best work! Tom, Thank you for the excellent and professional build and install on our kitchen drawer project. your guys are the tops!